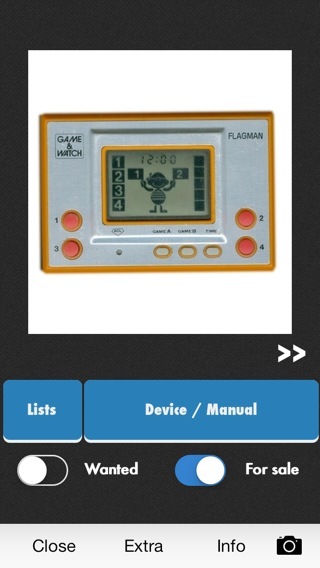 Retro Game Collector for Game & Watch is the must-have reference for every Nintendo Game & Watch enthusiast. 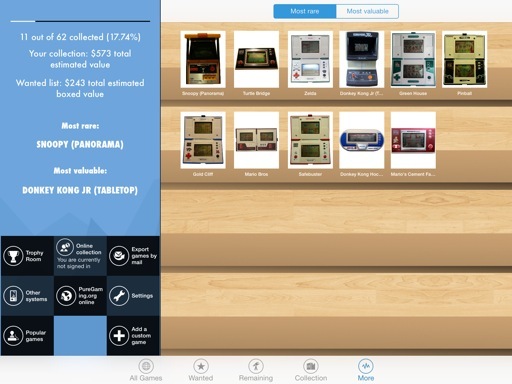 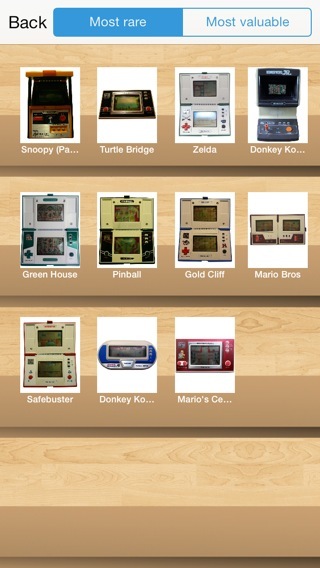 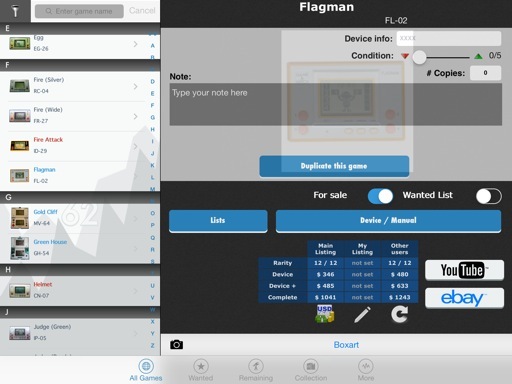 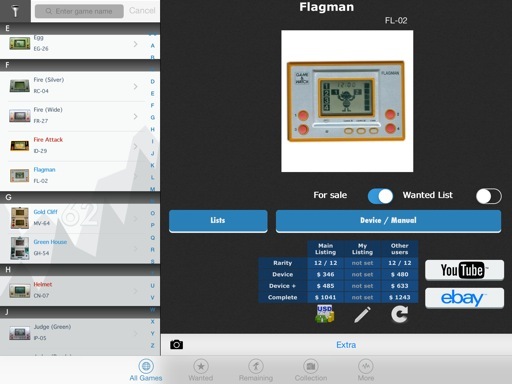 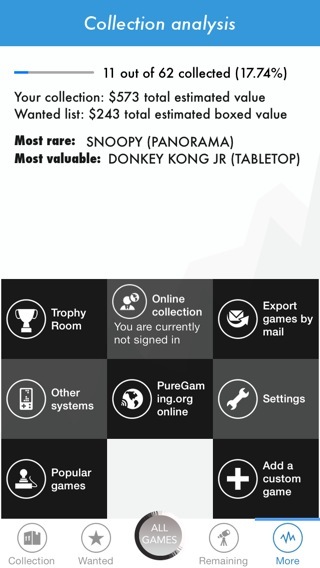 This app serves as a reference for every Game & Watch game ever released. 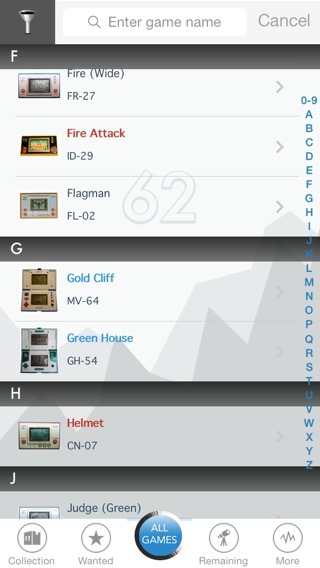 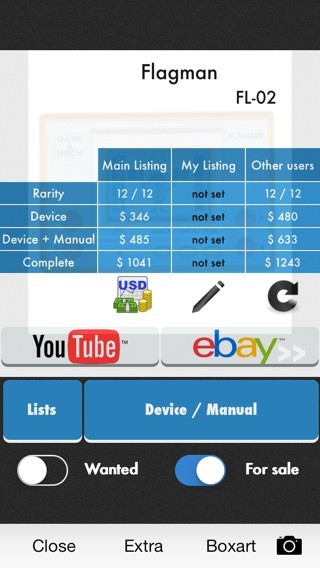 Keep track of your own game collection and even keep a wanted list.